The production capacity of the demonstration plant is 125 kL per year, and the manufacturing cost is about 10,000 yen/L. A commercial plant scheduled for 2025 will raise the production capacity 20 fold, aiming at 250,000 kL per year. 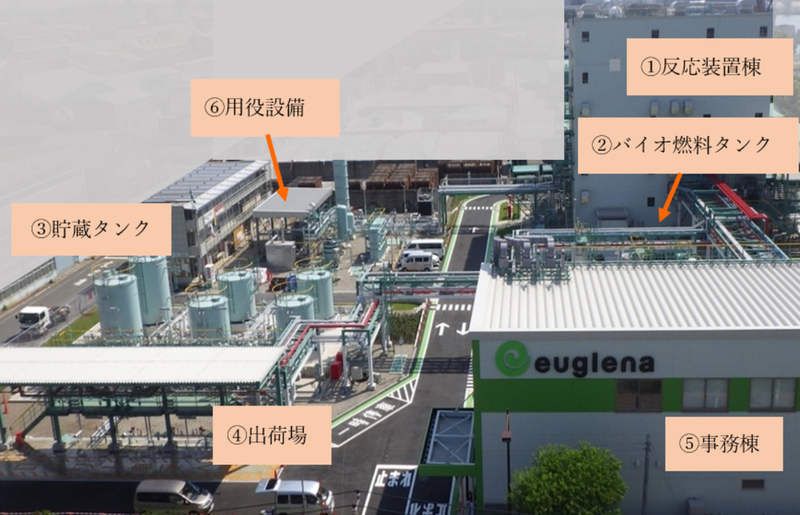 Currently, raw material cost of Euglena is 110 yen/L, higher than the raw material cost of waste edible oil (100 yen/L). The cost of refining is expected to be drastically reduced by increasing the scale, and ´production cost of 100 yen/L are eventually envisioned. Investment for the demonstration plant which is located within the AGC premises in Yokohama was about 5.8 billion yen (about 45 million €). The biojet fuel and diesel fuel named GREEN OIL JAPAN is manufactured via the BIC process by a consortium made up from Euglena, Chiyoda, Itochu Enex, Isuzu Motors, ANA and Hiroaki.